There’s more to life than work. We retired early, to Cuenca Ecuador, and travel the world. 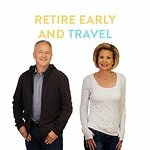 Find tips to retire early & follow our travels to exciting places. Vienna is a fabulous city in Austria. There is so much to do and things to see. The Absolute Best Way to Experience Croatia! For a beautiful day trip from Zagreb Croatia, take a drive northwards about an hour to the Zagorje region of Croatia. The area is full of rolling hills and vineyards, small quaint homes, medieval burgs, and castles. The best sights to see in this area are the city of Varaždin and Trakošćan castle. Genealogy vacations are becoming very popular. While in Croatia, we decided to do a ancestry visit to Delnice where my Great Grandparents are from. We recently traveled from Zagreb to the northern part of Croatia’s Istria peninsula and visited some lesser-known cities. We visited Trsat, Rijeka, Lovran, and Opatija. This one-day trip was spectacular. Cartagena is beautiful. Check out our post on what to do there and why you should visit.